By Stuart Kieran, M.D., Ravalli Republic – Tremors, or shaking, are oscillations of the limb, part of the limb or combination of limbs that move about a joint. They have various frequencies and characteristics. When one thinks of shaking we often think of Parkinson’s disease and indeed this is a common condition that has tremor as one of its features. There are other types of tremor however and these include essential tremor, familial tremor, exaggerated physiologic tremor, chorea and athetosis. This March, the International Essential Tremor Foundation (IETF) invites the community of Redding, Calif. to celebrate National Essential Tremor Awareness Month by hosting a fundraising walk at 10 a.m. on Saturday, March 14 at Clover Creek Preserve located at 3500 Shasta View Drive. Kansas City Star – The International Essential Tremor Foundation announced that it has been honored with a prestigious 2014 Top-Rated Award by GreatNonprofits, the leading provider of user reviews about nonprofit organizations. NPR, All Things Considered – Eating a bowl of cereal in the morning seems like a simple activity, but it’s close to impossible for some of the one million Americans who struggle with the tremors of Parkinson’s disease. There are also as many as 10 million Americans who suffer from a disorder called essential tremor, which is sometimes mistaken for Parkinson’s. Well, now a California engineer has invented an eating utensil that cancels out the uncontrollable shaking. Medcitynews.com – Lift Labs Design, a healthcare engineering company that uses stabilization technology as part of the foundation for a cutlery for people with essential tremor is one of three companies that walked away with awards from the American Association of Retired Persons’ (AARP) Innovation@50 Live Pitch event this week. by Michelle Trudeau, National Public Radio (NPR) – Katharine Hepburn had it. So did playwright Eugene O’Neill and Sen. Robert Byrd. is a condition that causes involuntary shaking. News Medical – A team of researchers from Universit- Laval and CHU de Qu-bec identified unusually high levels of a certain protein in the brains of people suffering from essential tremor (ET), a movement disorder that affects 4% of the adult population. The discovery, the details of which were published in the most recent edition of the journal Movement Disorders, could lead to an effective treatment for this neurological condition, which is 10 times more prevalent than Parkinson’s disease. 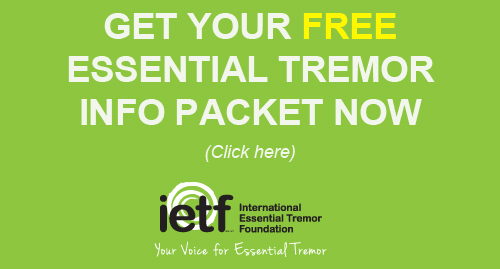 The International Essential Tremor Foundation (IETF) proudly recognizes the fourth anniversary of House Resolution (H.RES.) 1264, officially designating the month of March as “National Essential Tremor Awareness Month.” Essential tremor, a neurological movement disorder commonly referred to as “ET”, affects nearly 10 million people in the United States and millions more worldwide. Rambam Medical Center claims Israeli breakthrough in treating essential tremor. Other experts skeptical of the technique, involving ultrasound ablation and MRI. By Judy Siegel-Itzkovich, The Jerusalem Post – For the first time in Israel, and with only a handful of precedents in the world, doctors at Haifa’s Rambam Medical Center have “ablated” a dysfunctional part of the brain in a patient with essential tremor (ET) using MRIguided ultrasound rather than performing surgery. Science Daily – Deep brain stimulation therapy blocks or modulates electrical signals in the brain to improve symptoms in patients suffering from movement disorders such as Parkinson’s disease, essential tremor and dystonia, but a new study suggests that several factors may cause electrical current to vary over time. Linda Carroll, TODAY contributor – Surgeons often listen to music while they’re operating, but in Brad Carter’s brain surgery it was the patient who supplied the tunes. Carter, an actor who has landed guest starring roles in popular television shows like “Bones” and “The Mentalist,” says his real passion has always been singing and playing the guitar. But seven years ago, his hands started shaking, making it hard to play some of his favorite songs. ScienceDaily – The new technique uses advances in brain imaging in recent years to place the electrodes more safely, and more accurately, than in traditional DBS surgery. The surgical team uses CT scanning during the surgery itself, along with an MRI of the patient’s brain before the surgery, to precisely place the electrodes in the brain, while better ensuring no hemorrhaging or complications from the insertion of the electrode. Despite advances in science and technology, the cause of many neurological conditions, including essential tremor, remains unknown. In order to unlock the mysteries of the brain, we need to understand how and why it works the way it does. The National Institutes of Health (NIH) Brain Research through Advancing Innovative Neurotechnologies (BRAIN) Initiative has been tasked with figuring that out. By: Maryke Penman – Alan Irvine, 89, knocks back a stiff gin before going out to dinner. It’s the only thing that stops his shakes. The Belmont man is among just 2 per cent of the New Zealand population living with Essential Tremor, a neurological disorder that causes shaking in the hands, head and other body parts. Essential Tremor is caused by a miscommunication in the brain. It can affect people of any age and is often hereditary. Researchers at the University of Montreal and its affiliated CHU Sainte-Justine and CHUM hospitals have linked some cases of Essential Tremor (ET) to a specific genetic problem. The researchers will be publishing their findings in The American Journal of Human Genetics. Scientific evidence from well-designed studies shows that meditation can increase attention span, sharpen focus, improve memory, and dull the perception of pain. Filipino Reporter. By: Meg Sibal, M.D. – While almost everyone has some degree of tremor — an involuntary, rhythmic shaking, especially of the hands which, for most of us, are so small they can’t be seen or felt — many individuals develop a visible tremor (essential tremor) which is a common movement disorder that can trigger fears of Parkinson’s disease, says the July 2012 issue of the Johns Hopkins’ HealthAfter 50. Beulah Baker first developed essential tremors in her early 20’s. Her hands now shake so much that she is unable to write but it is doesn’t hold her back from a full life. Beulah Baker is the first to admit she’d be useless on MasterChef. Diagnosed with essential tremor, the 81-year-old struggles to perform the simplest of tasks most take for granted. Local man able to live tremor-free life after Gamma Knife® thalamotomy. In the late 1960s, Dave Willard, a Navy Commander, was on active duty when he noticed shaking in both his left and right hands. While this should be a concern for anyone, it was particularly concerning for Dave, who was a Navy pilot. Who hasn’t occasionally felt a bit shaky in practice? Normal, yes? I always do. Literally. I cannot be physically still. I have a hereditary condition called an essential tremor. My hands shake, the right more so than the left, my head shakes slightly, too, and my voice can tremble. A full cup of anything is an accident waiting to happen. Balancing poses take on an entirely new look when I’m in them, if I can get there. Saginaw Township resident Carol Jerome is self-conscious about her voice. Although she’s 76-years-old, her voice makes her sound like she’s 96. Jerome’s voice is shaky because of a condition called essential tremor, a benign neurological disorder that causes a rhythmic shaking. If you notice someone’s hands shaking, do you think they’re nervous or maybe they’ve had too much caffeine? Or do you think they have Parkinson’s Disease? In many cases, it’s neither – instead, it’s a condition called Essential Tremor. FOX 4 Medical Reporter Meryl Lin McKean talks with a young woman who lives with that condition. Researchers from the CHUQ research center and Université-Laval have published promising findings about a potential cause of essential tremor (ET). The team’s findings were published in a recent edition of the scientific journal Brain. The research team noticed a decrease in the concentration of GABA receptors in the cerebellum of patients suffering from ET. GABA receptors relay “chemical messages” which transmit inhibitory information to the different parts of the brain and play an essential role in the human body. A loss of GABA receptors in the cerebellum could affect the function of the cerebellum, an organ beneath the brain that manages communication between the brain and muscles and coordinating movements. 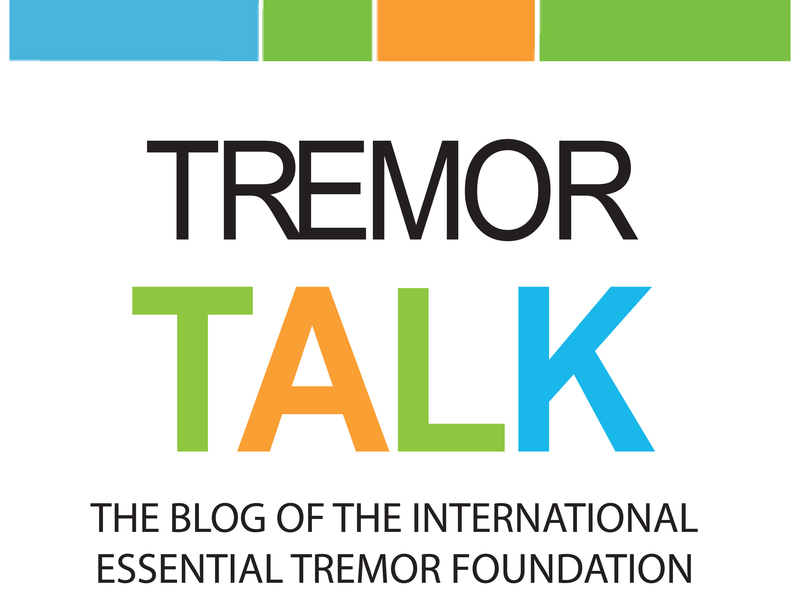 The research was made possible by a grant from the International Essential Tremor Foundation. An antiseizure drug called primidone (Mysoline) and a high blood pressure drug called propranolol (Inderal) are the most effective medicines to treat shaking in people with essential tremor, according to an updated treatment guideline from the American Academy of Neurology. Read more. By Elan D. Louis and Michael S. Okune. Use of the word “benign” is a mischaracterization of essential tremor and could be prove misleading especially in the evolving doctor–patient relationship. In those cases with currently-mild tremor, the nosology “mild essential tremor” would be a more accurate reflection of disease.